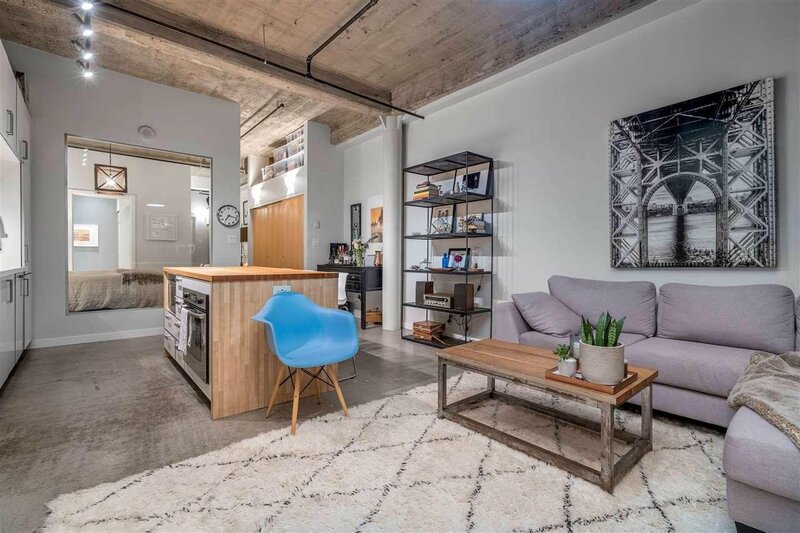 Welcome to Crane Lofts. 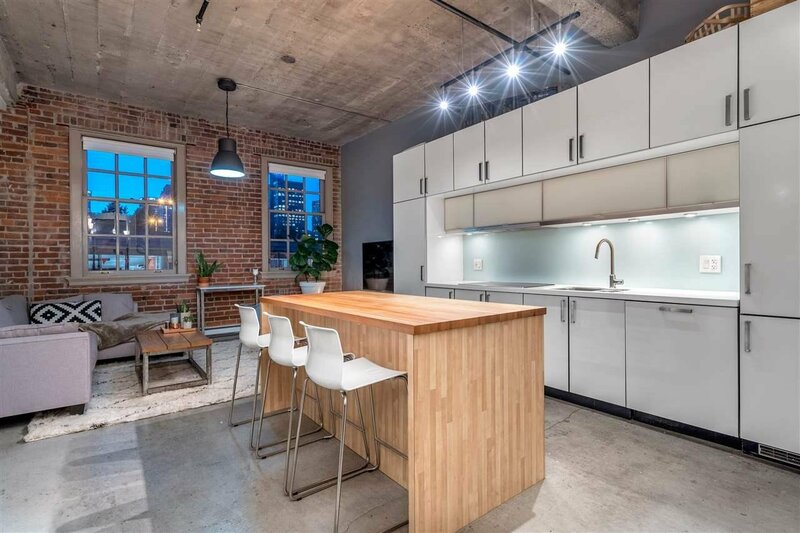 Iconic Warehouse Restoration amongst Vancouver's most unique loft buildings, restored in 2008/9, originally built in the 1900's. 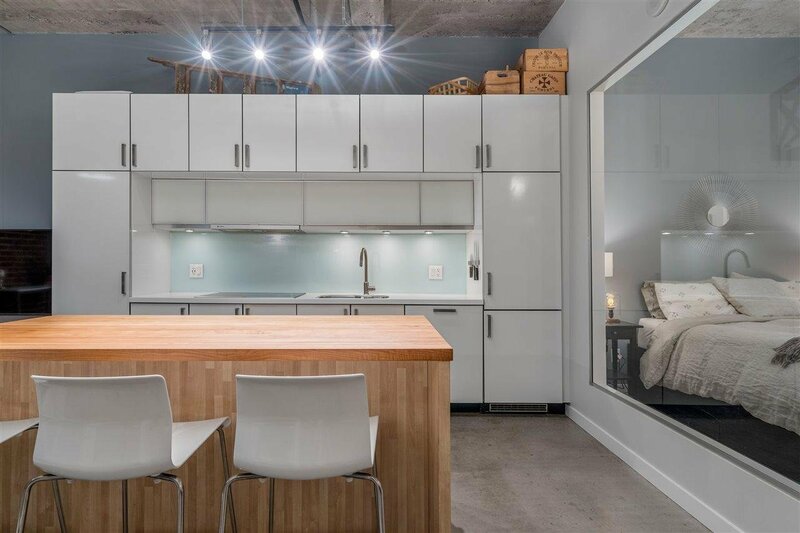 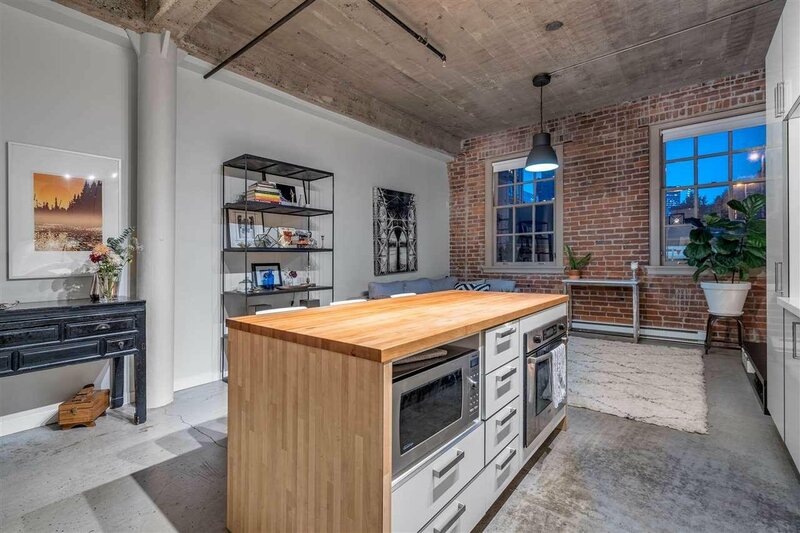 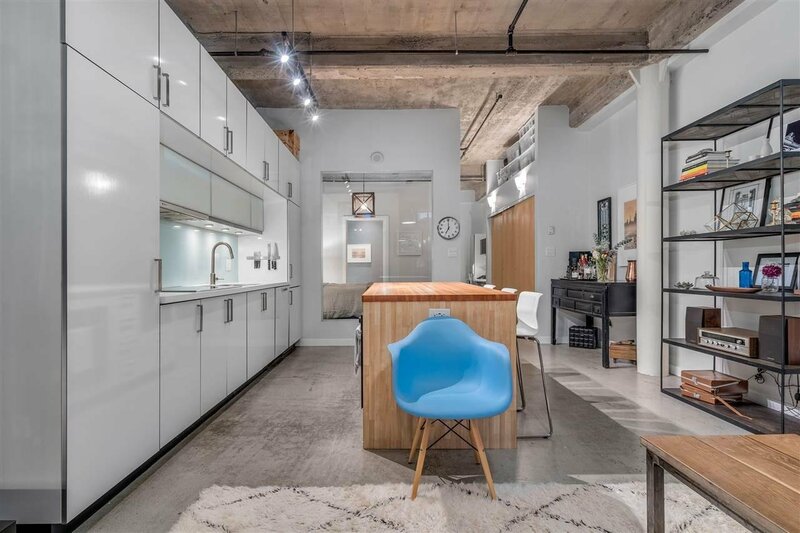 This concrete & steel construction building has been restored in it's original brick providing prestigious loft living on the tip of gas town. 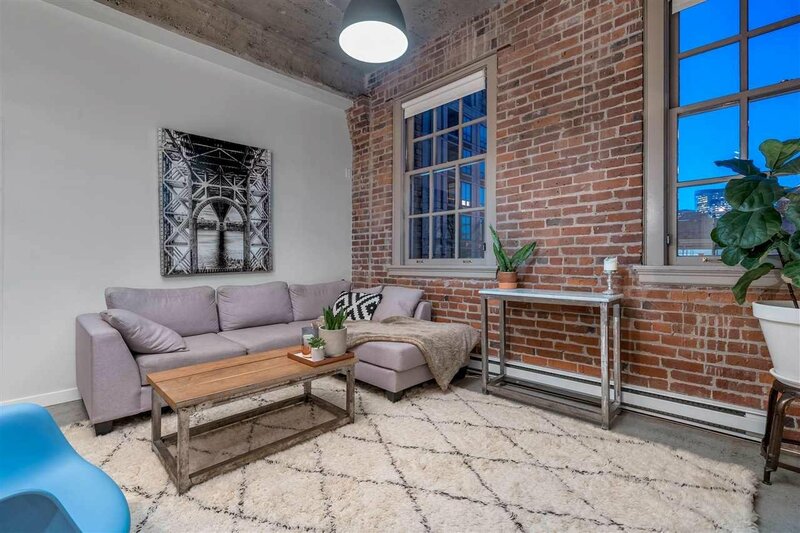 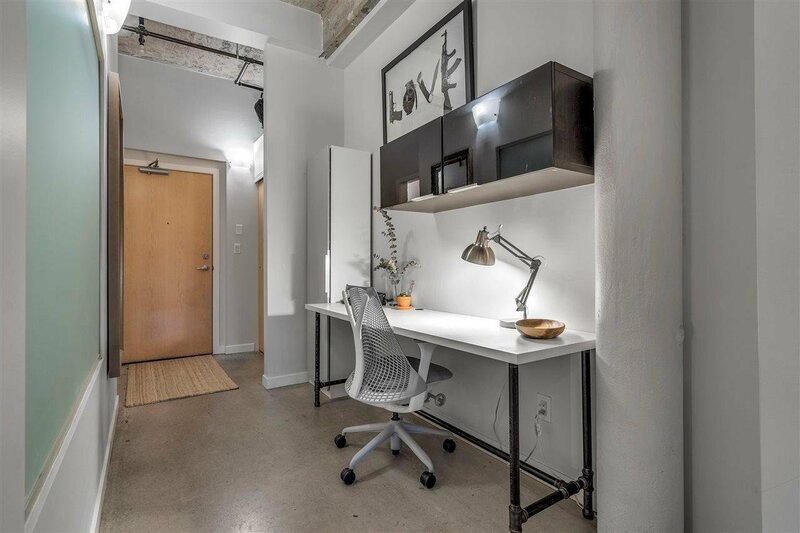 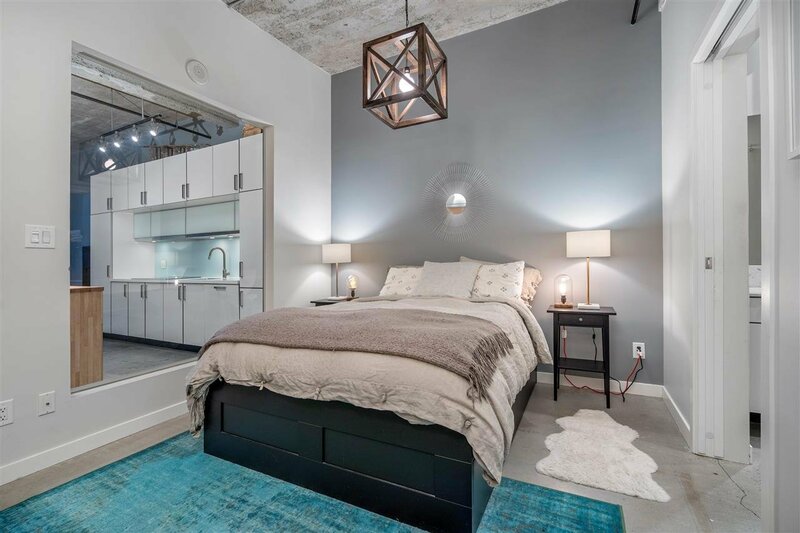 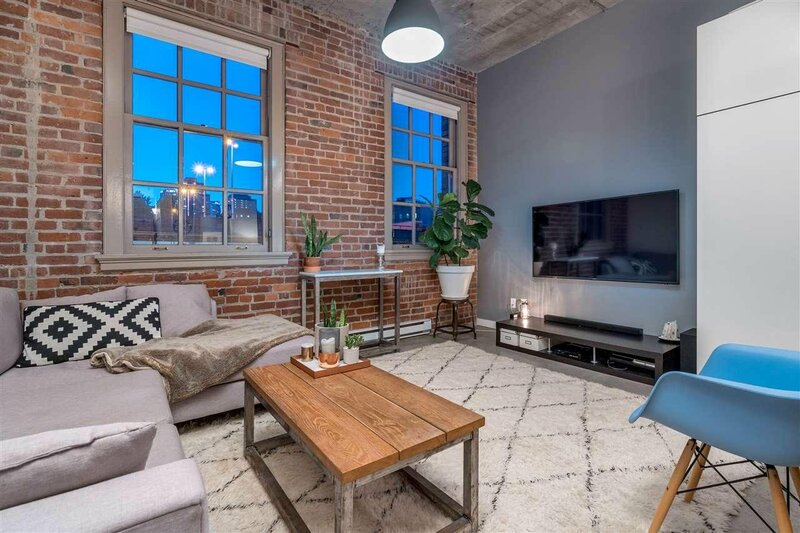 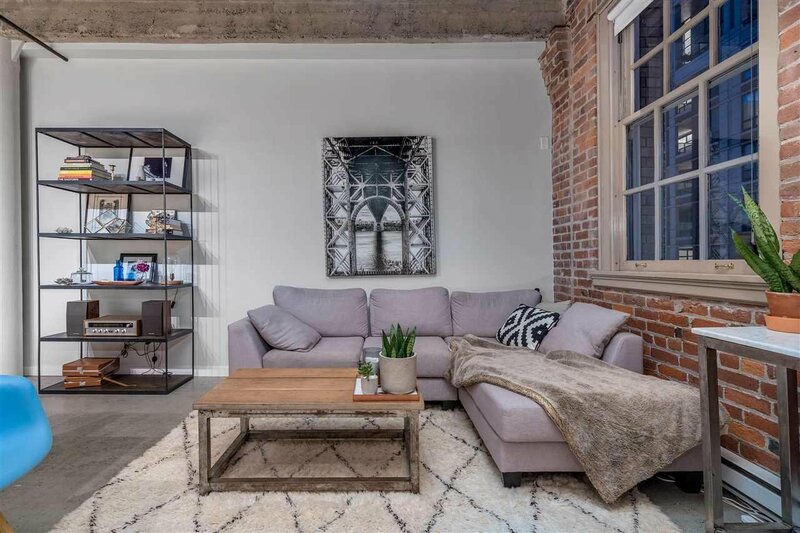 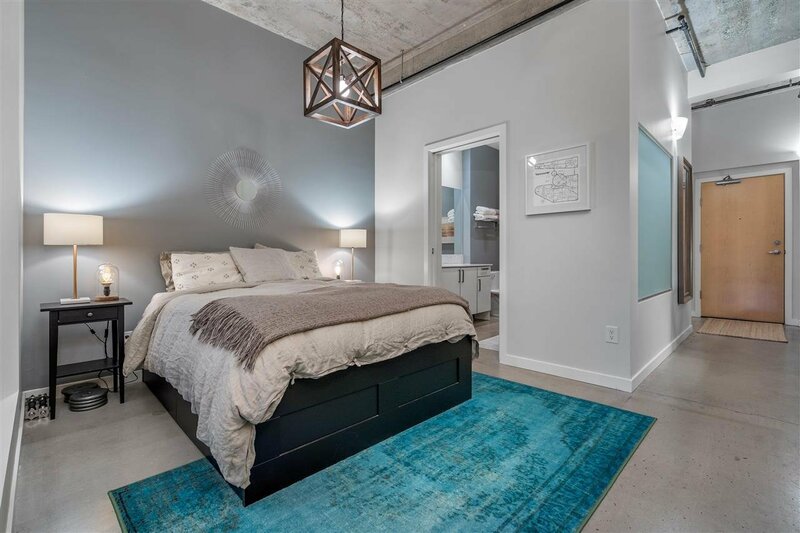 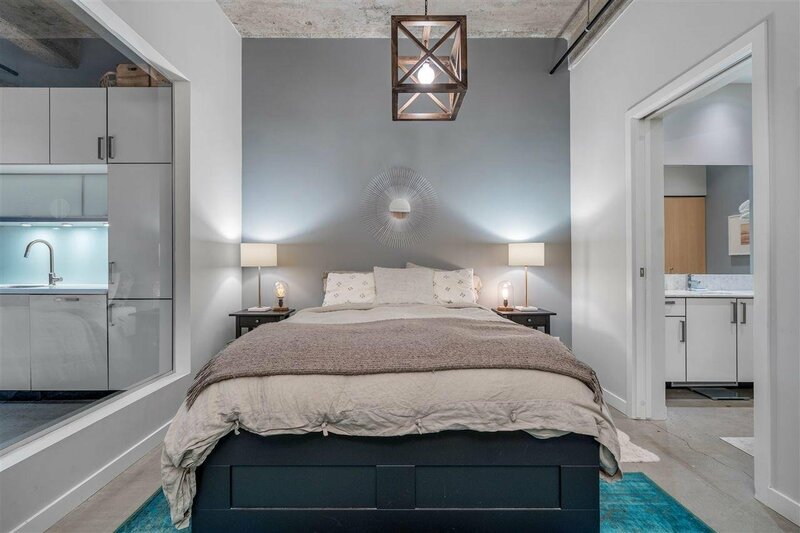 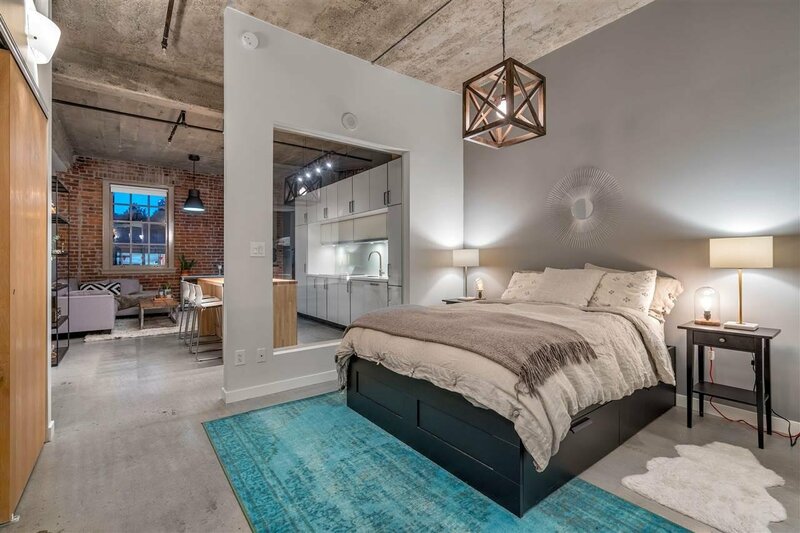 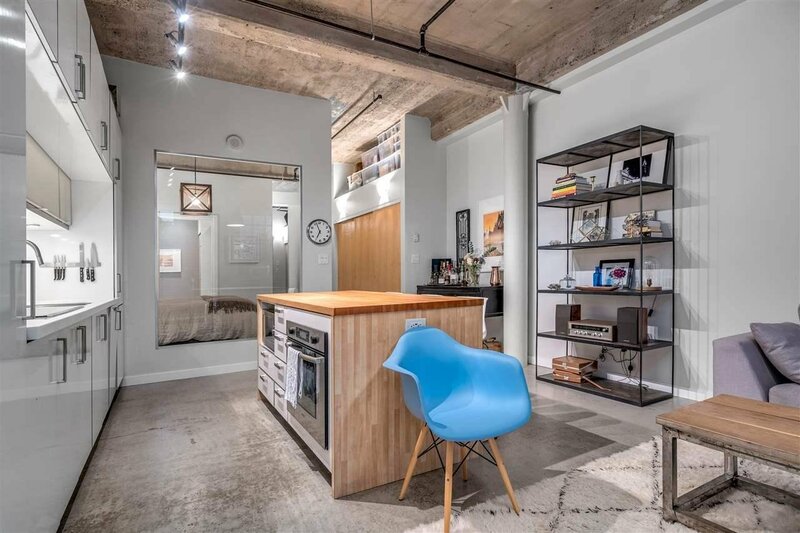 One of the largest 1 beds in this building provides, ~11 foot ceilings, exposed brick walls with vintage windows, an open city view, spacious flex/office space and comfortable living totally 772 sq feet. 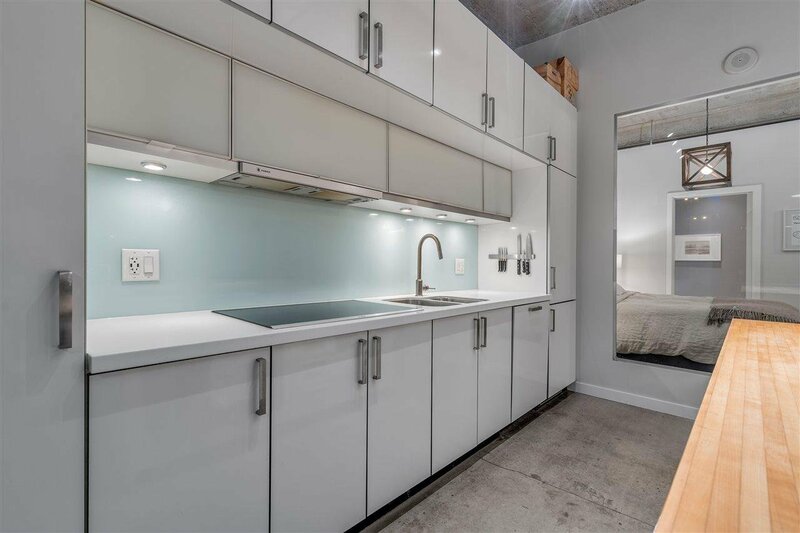 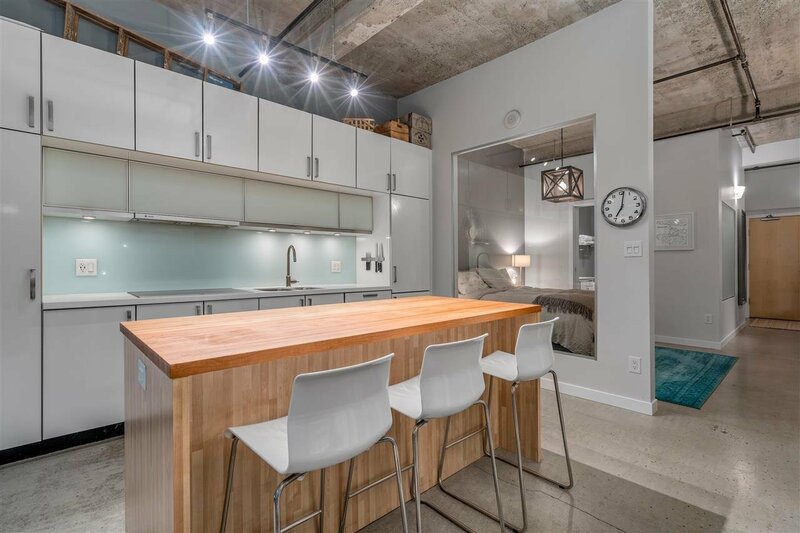 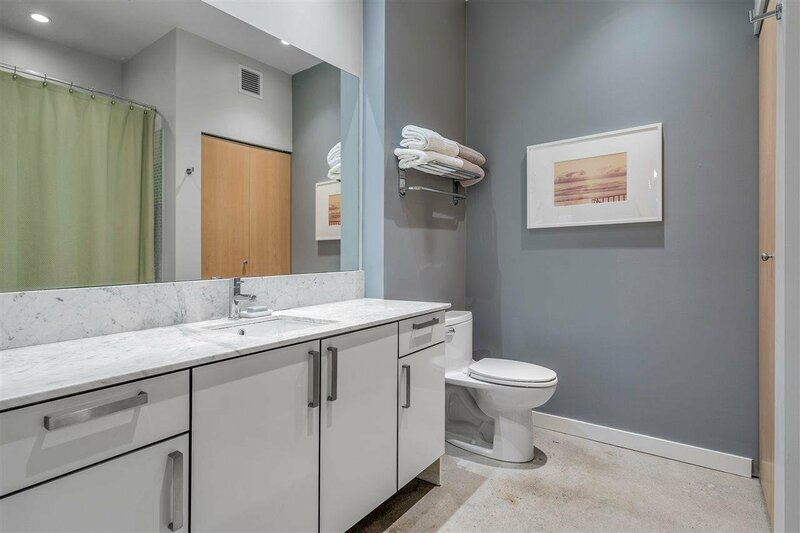 Finished with polished concrete flooring, European kitchen with built in appliances and a large surface island, a spacious high end bathroom with marble surfaces and high end fixtures. 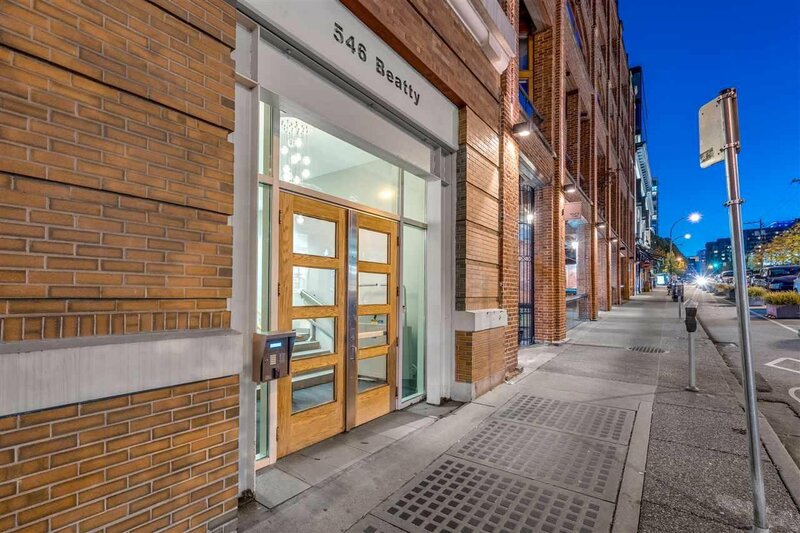 Call today, spacious living like is rare!